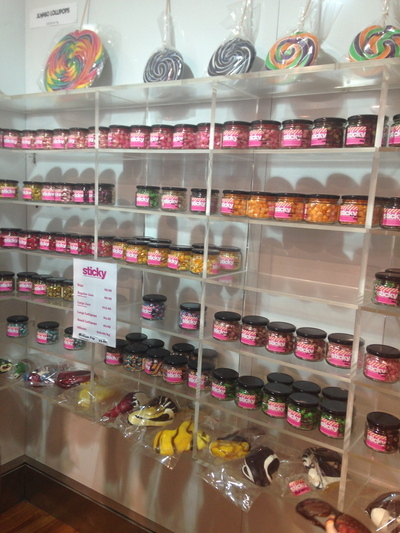 Sticky is the right word to explain this place full of candy love. 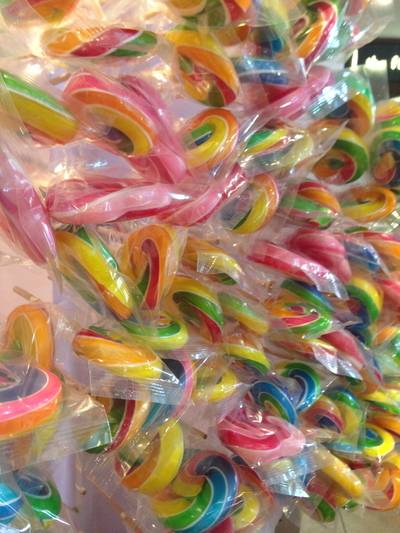 Yes, we know - candy is sticky in so many ways. Sticky at The Rocks attracts the crowds for their free candy making demonstrations, with at least two expert lolliologists on staff at any given moment. Naturally, there is a third staff member available to serve customers. Sweets heaven. It can be crowded, and locals and tourists to Sydney alike have their cameras in tow. People are considerate, and will move if you need to see the action. That is, for some yummy candy being made before your very eyes. It is easy to lose track of time, and be in a trance like state here. With those thick big blobs that turn into little candy pieces - wow. 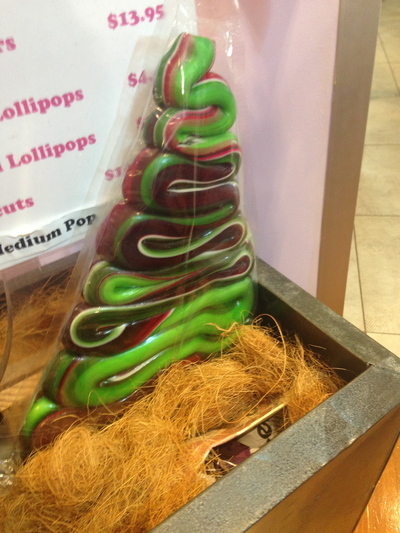 Of course, packaged candy and lollipops are available to purchase. To take home and enjoy. I got a bit tardy on remembering the prices, and for that I apologise. 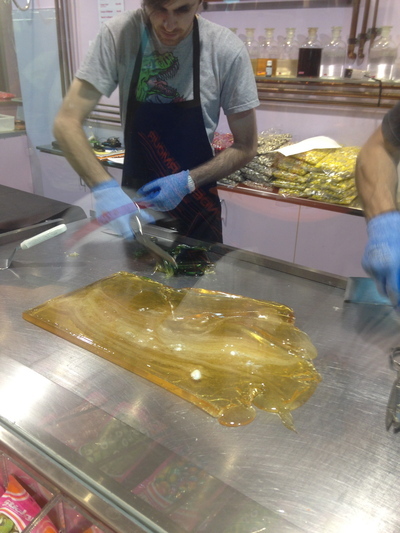 Just loved watching the candy being made. It takes time, yet looking at those thick blobs is incredible. Just like the maitre at any chocolate cafe, these lolliologists are super fast with their hands. Non-stop for sure. Even better, there is some candy to try. 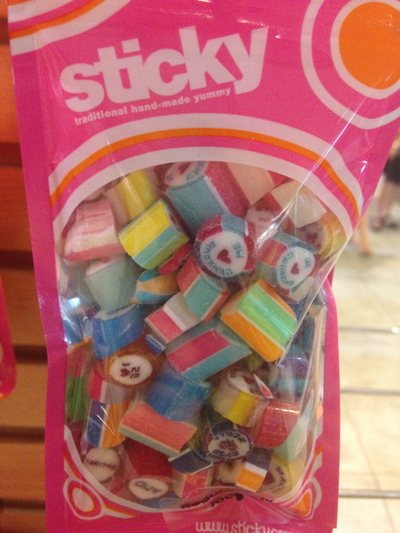 The crew at Sticky can customise your candy for weddings and corporate events to name. In a nutshell, these guys are incredible, smart and passionate about candy full stop. Why don't you pay them a visit. Just don't rock (sorry, terrible and unintended pun) up on a Sunday. There will be no one there. 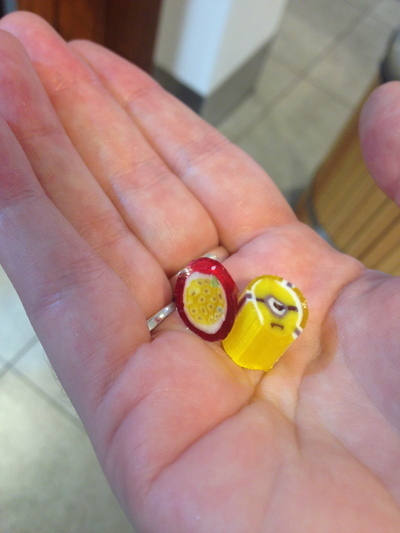 You'll be incredibly lonely without any tasty candy. Where: 12-24 Playfair Street The Rocks NSW. 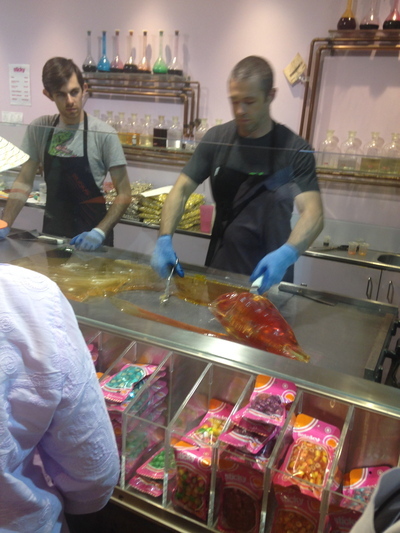 Why: Candy heaven, and to watch some candy being made. 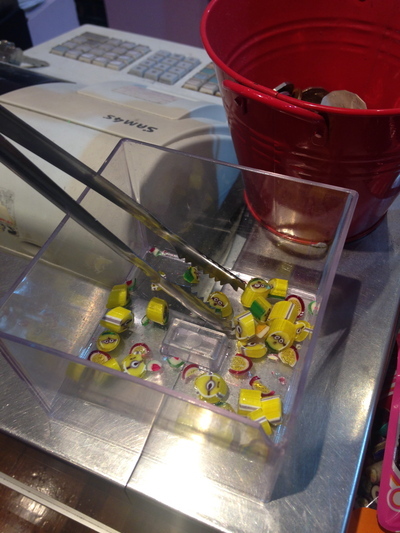 Cost: Free to watch the candy being made, although tips are encouraged. Free tastings are also available. Of course, any candy you buy to take away comes at a cost. Again, I did not pay attention to that - sorry. When: 9:30am to 5:30pm Monday to Saturday. Loved my candy samples. One's passionfruit.